What it takes to be a Great Lover! "﻿Love yourself at your core"
"In this workshop, you will learn to love yourself exactly as you are, letting go of negative self talk and surrendering into the divinity that you are." ﻿Love and sexuality become unified and open you to untapped pleasure and fulfillment. We will explore the meaning of being present to the blossoming now to allow yourself to be nourished by the love that is available to you now. Strip away your self-created limitations and stand naked before the mirror of self love! Expand into infinite, spontaneous expressions of wonder and play! 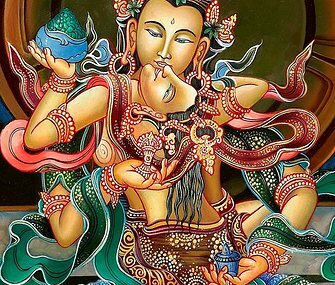 Learn Tantric practices for moving beyond pleasure into deep connection! Experience true bliss and heightened spiritual awareness of divine love. Learn to change the way that you speak about yourself. Learn physical and energetic techniques for improving your relationship to self. Achieve greater intimacy and harmony within yourself. Increase your capacity to love and receive love in return!